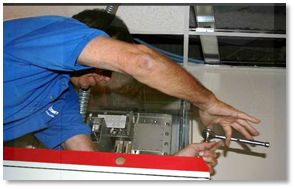 FAST AND RELIABLE SERVICE FOR YOUR PROJECT OR A QUICK FIX, WE DO IT ALL! As one of the leading Medical Supplies company in the U.A.E, Gauge Electro Medical Supplies L.L.C is proud to associate itself with its clients and tackling the challenges that each project brings. It contains the list of some of the completed projects which done by GEMS. Please contact GEMS directly to obtain a complete reference list of executed projects and more details. 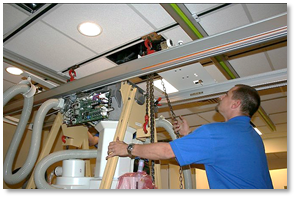 GEMS has performed over 450 installation projects since 2011, We have a team of over 50 mechanical installers, specializing in the installation of major medical imaging equipment. Our employees undergo extensive on-the-job and formal classroom training to ensure their skills and knowledge are current with state-of-the-art medical imaging system equipment. Our experienced and trained staff generate customized first and final day checklists for each customer to report site and equipment conditions at the start of any job, as well as at the completion of the project, to identify any outstanding issues or out-of-scope items. Our Quality Management system ensures complete, accurate and timely turnover of equipment to the end user. Proprietary, project management software helps produce cost efficiency savings in the administration and deployment of our trained staff and logistics experts for multiple projects nationwide. GEMS Quality Assurance processes are compliant with the new ISO 9001:2011 Standards. We employ statistical data analysis to pair each project with the most qualified personnel, coupled with our cutting edge processes produce a combination that meets and exceeds customer expectations. Gauge Electro Medical Supplies Leading exporter of high-quality cardiology, Gynecology, Bone Surgery, E.N.T Instruments, Diagnostic Instruments & Dental Instruments. We represent latest and directives technologies and incorporate an up to date know how of modern techniques, combined with our most efficient customer support and service back up. GAUGE ELECTRO MEDICAL SUPPLIES L.L.C Dubai (U.A.E), is a famous and active company keen to make a mark with new, innovative and unique strategies in all local and international market. To our suppliers and clients, who showed their support and affirmation in our new beginnings, we would like to express our gratitude and further hope and endeavor to strengthen this business relation for the long term. The positivity and belief in our vision and mission that has been displayed, will further affirm our belief in providing our clients and new businesses with the best possible and uniquely different and futuristic approach in this field. We are progressively updating and building our online portfolio to provide updated information and best offers. GAUGE ELECTRO MEDICAL SUPPLIES L.L.C Dubai (U.A.E) is your trusted source for medical equipment rental. We carry a wide variety of medical equipment to assist with mobility or comfort issues after surgery or to aid in your indoor/outdoor mobility should the need arise. Here is a list of all the equipment we can provide. Contact us or stop into either location to rent equipment. An effective medical equipment maintenance and repairing service consists of adequate planning, management, and implementation. Planning considers the financial, physical and human resources required to adequately implement the maintenance activities. Once the service has been defined, financial, personnel and operational aspects are continually examined and managed to ensure the service continues uninterrupted and improves as necessary. 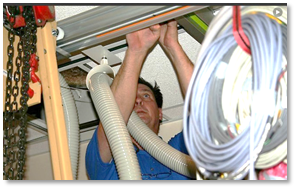 Ultimately, proper implementation of the service is key to ensuring optimal equipment functionality. Have an idea, a dream? We can make it happen. Join our family, we offer free consultation to achieve your goals with creativity and quality that you deserve.